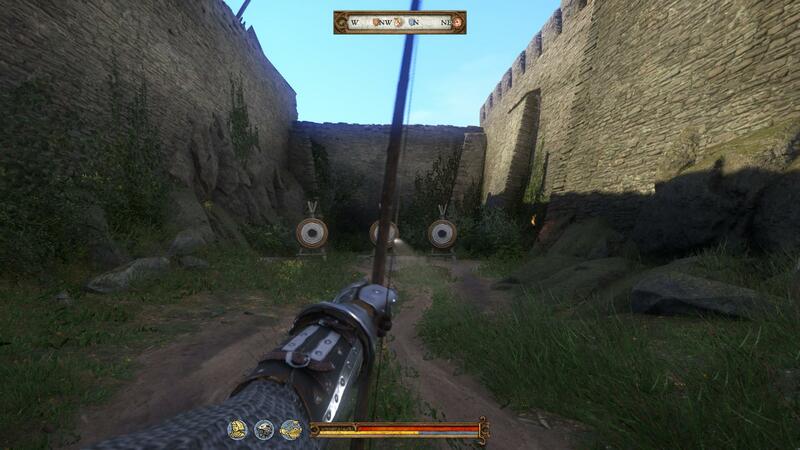 Archery is a difficult task in Kingdom Come: Deliverance. Especially without a curser in the game. However there is a handy way to increase the accuracy of your shots and make it more bearable. Note: This method is not 100% accurate. Moreover, the difficulty of "mastering” this method of shooting increases with the distance. 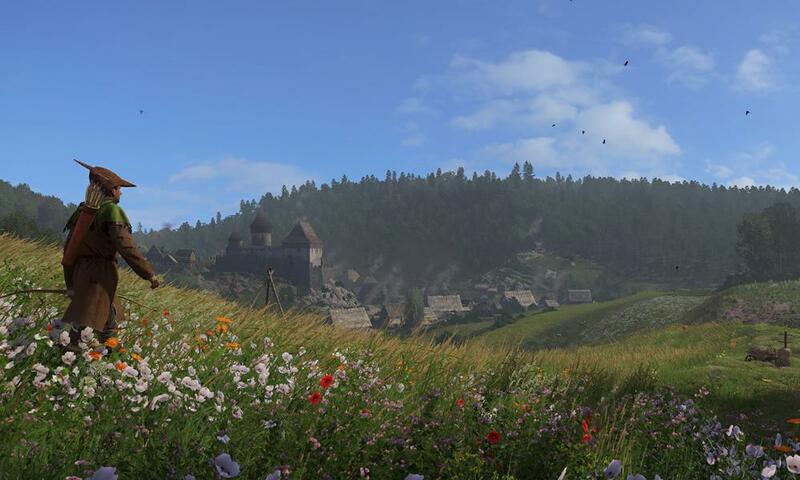 Early Loot Chest in Skalitz. 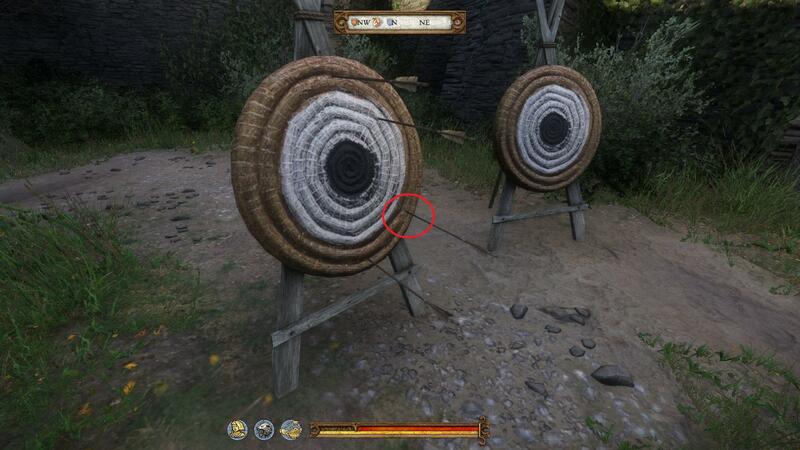 This is how the archery looks like when you draw your arrow. Notice that there is a small point on the glove/vambraces that you are wearing. 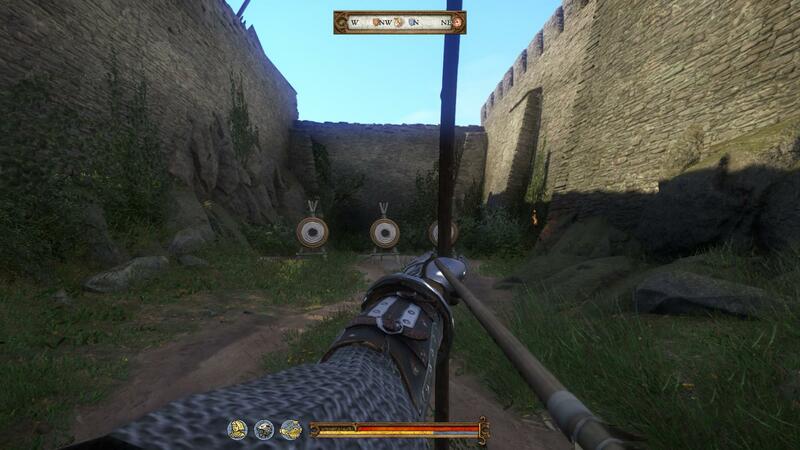 You can use that point as a way to aim your arrows. You have to go straight up from that small point and draw an line with the point of your arrow. It should look something like this (note as it is not 100% accurate, as archery at that time was not 100% accurate either). However, it should look something like this. (not the path the arrow takes towards its target).